Google has vacation rental searching which has been available in one form or another for around 9 months. 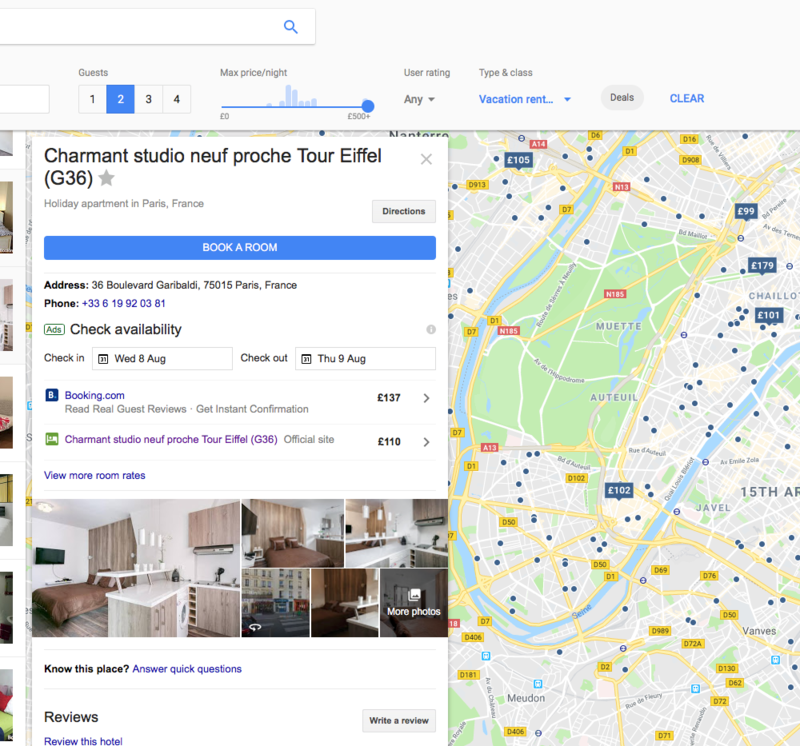 Google has an interface which is accessed when searching specifically for holiday rentals. It allows for some limited availability searching and filtering. Although the user experience is nothing like as good as the primary OTAs (AirBnB, Booking.com etc. ), the sheer volume of visitors that Google can tap into will mean that it is impossible to ignore what they are up to in our space. What do I need to do to appear in this search? It is unclear exactly where Google is getting all of the data from but it is most likely a combination of traditional spidering (looking at your website) and partnerships with OTAs and Channel Managers. Ensuring that your own website is highly visible within Google Search is probably the best way to appear within these results. The results contain links across to the original source website (which is a great thing for property rental managers) but also prominent adverts with the primary call to action taking the user to Google Customers. This is how Google makes it's money after all, so that is not surprising. It may well be possible for anyone to use Adwords and advertise in the same way. We would recommend that as a Property Manager, you keep a close eye on what Google is up to in this area as it is likely to have a direct impact on how your guests can find your vacation rentals.